Refer to Jasper’s portrait. Look closely at the dark and light areas of the forehead. These are the tones of color we are going to use. 1. Arrange the color tones of the threads from light to dark. 2. Where the portrait shows darkest, use the darkest thread tone. 3. 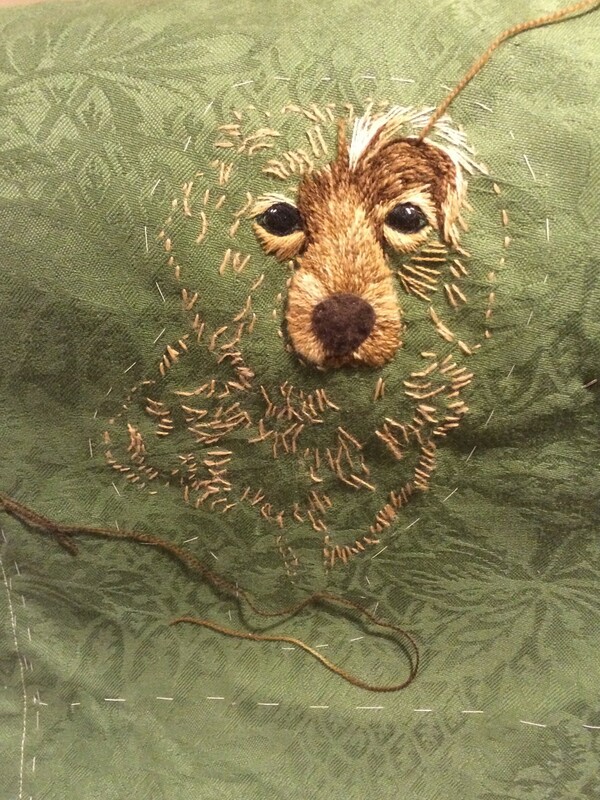 Embroider in long and short stitch in line with the angle of the fur. 4. For the remaining areas, adjust the thread color tone according to the shading in the portrait. Launceston Workshop Embroiderers’ Guild of Tasmania Inc. I have finished the Kookaburras!